Volunteering your time and talents only allows you to utilize the skills you already have, and it allows you to learn new ones. When you volunteer, you mix with a diverse group of people who can teach you something new. The best part is you can pick up these skills in the real world by actually putting them into action, giving you experience you can use in your work life and your personal life. The next generation needs to learn the value of volunteering, and you may be the ideal role model for the kids in your own life. By volunteering, you may also have a great impact on the children of the future when your work directly makes a difference in their lives. They may be more likely to grow up and pay the favor forward. 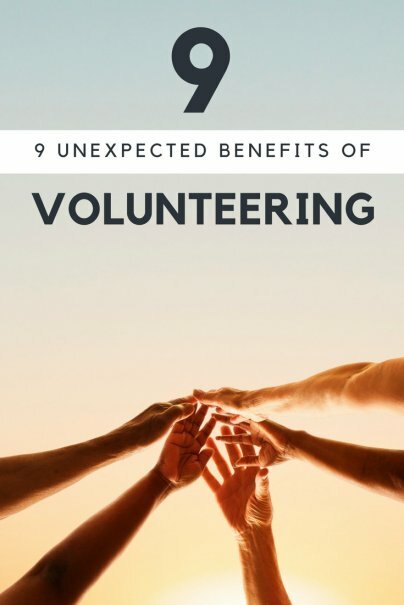 Many of the other volunteers you will meet may be connected to your life or career in some way, but you have only met through volunteering. If you are looking for a new job or other opportunity, those fellow volunteers can be instrumental to your success. The people you volunteer with already know you are generous, giving, and outgoing, but also hardworking, effective, and committed — characteristics employers and potential clients are always looking for. Your volunteer experience can take you to a new level at your present job, too. The skills you are learning through your volunteer work can make it easier to rise up in the ranks as you gain more experience. Employers are always seeking leaders, and as a volunteer, you have already demonstrated important leadership qualities. If you have causes that are close to your heart, but your budget is tight, you can give whatever spare time you have in place of cash. Keep your money growing in the bank but take some time out of a weekend to volunteer at a local organization or event. While monetary donations help, physical help is often much more appreciated. You may not be able to reasonably afford to buy supplies for the local SPCA, but you can spend an afternoon playing with shelter animals who love the attention. If you are trying to save more money but have friends that are mostly interested in costly nights on the town, you may feel somewhat left out of the social circle. By volunteering your time, you can associate with a lot of like-minded people you may not have had the opportunity to meet before. If your family life or financial life has caused you to spend more time at home, you may at times feel trapped between four walls. By volunteering, you get the opportunity to attend events, meet new people, and explore new experiences you may not have known about before. In many cases, volunteers get to attend activities for free and can reinvent their social life without financial burden. You can choose to remain local and help with youth or community activities, or you can travel the world as a volunteer. There are many organizations that can provide you with travel opportunities to countries in need of medical help, housing assistance, or education. Exploring the many opportunities available can lead you to new experiences you may not have previously considered. One of the best things that can come from volunteering is the realization of what you have in your life when you see what others do not. Gratitude is an important component of a well-rounded life. Being grateful for what you already have can help you resist the urge to want more. You can get a fresh perspective on what really matters, so you can live a simpler, less stressful life. What have you gained from your volunteering? What a great article! There's nothing like the feeling you get when you give, and volunteering is an excellent way to socialize. I like the idea of volunteering to avoid spending, which can really work. I find that when I'm busy working, I spend so much less. Volunteering is a great way to build character and give back to your community. Even if you're performing a service for no money you can be rewarded in a number of ways like what you mention here.Meeting new people and networking while doing something that makes you feel good are benefits of volunteering. There's nothing quite like the feeling of giving time and effort to a good cause.